Modern technology has been changing lives for a very long time, as technology evolves the way patients are treated and diagnosed. It’s hard to keep up with the latest diagnostic tests and machines, but it’s a good problem to have in medicine. When it comes to detecting breast cancer, patients might have been hearing about 3D Breast MRI with CAD, if they are scheduling a mammogram. The 3D Breast MRI is where they are able to take multiple images of the breast in one test. Several “slices” of images of the tissue can be reconstructed to give the physician a clear view of the entire breast. Add in CAD (computer-aided detection), radiologists can now find very small breast cancers. This provides more opportunity for early detection. And, that’s important. Breast cancer is second only to non-melanoma skin cancer, in cancers found in women. In fact, at least 1 out of 4 of cancers in women is breast cancer. The CAD software utilizes sophisticated and complex systems, centered on several thousand cases of breast cancer. This will help identify areas that are suspect during a mammogram, which would warrant a closer examination and further evaluation. 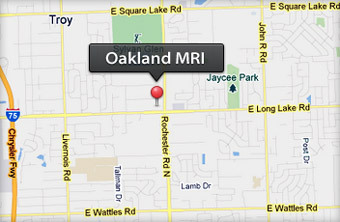 To schedule Breast MRI exam please call us at (248) 740-0777.